There is no more special place than the world of our grandchildren! Hi, I'm a fellow Design Team member with Bev. She told us you how much she loves your work and I wanted to check it out! This is gorgeous! I love purple, but it can be hard to work with. You mixed it beautifully with all the other pretty colors. Nice work! 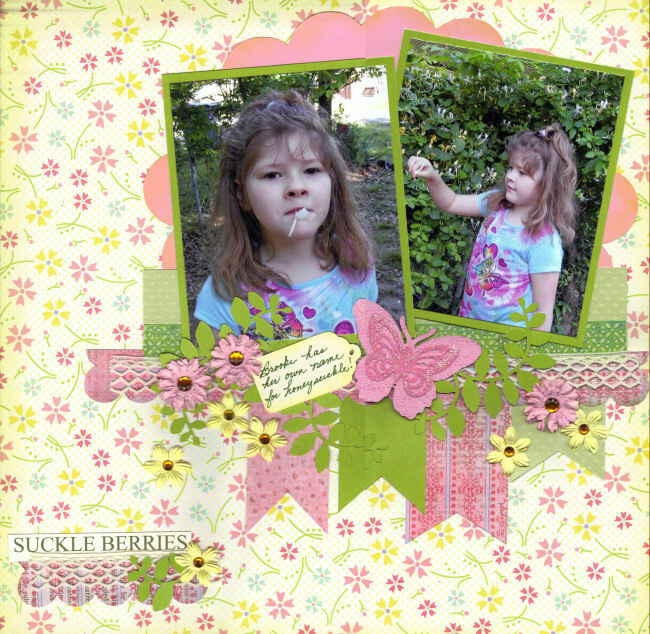 Gorgeous layout Linda! And welcome to the blogging world!